We all know there are issues with the representation of women and women's bodies in video games and the mass media, just as there are issues with the way men's bodies are portrayed. Bulimia.com, a website dedicated to sharing the message about the eating disorder, featured a series of Photoshopped images (via The Daily Dot) of several different female video game characters altered to better resemble the average female body, complete with realistic proportions and makeovers. 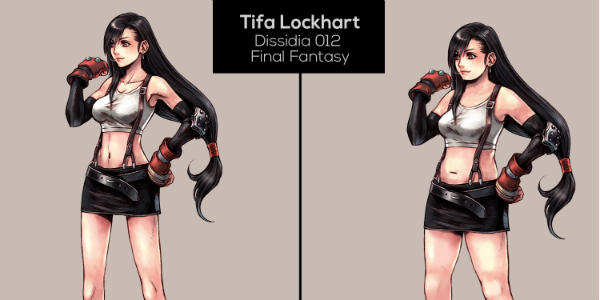 The set includes images of Tifa Lockhart from Final Fantasy VII, Christie Monteiro from Tekken 5, Jade from Mortal Kombat, and more. "Girl gamers – especially young ones – could develop a skewed image of how the female body should look. This might mark the beginning of obsessive thoughts about their own bodies, and self-questioning as to why they don’t align with their perceived ideal. When dangerous, compulsive eating behaviors develop alongside of these negative obsessions, young women can quickly find themselves struggling with an eating disorder." However, the images that have been Photoshopped only really seek to fill out the characters, adding curves and what looks like extra weight to them. The "average" body type doesn't necessary mean fit or thin, but it doesn't mean predominately thicker body types as well. 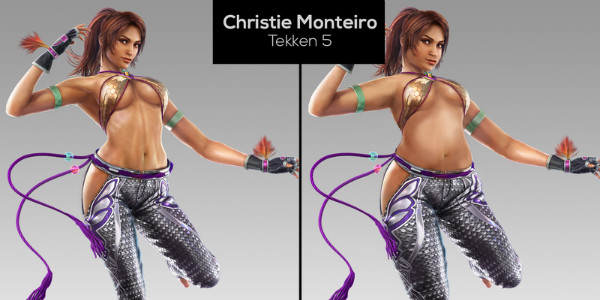 It's a strange move by the website to assume that the proportions of the female characters are the only thing that makes them more sexualized than some audience members would prefer. In some ways this project is as harmful as it is helpful, especially since it suggests that the body types of several characters, whose bodies are actually quite proportionate, aren't realistic. Having personally known individuals who resemble some of these women, I have to think they may feel a little shamed by this photo set. It's also interesting that some of these characters look pretty normal already, and really didn't need to undergo these transformations. Making positive changes is obviously a great idea, but there are certain points where we need to evaluate other checks and balances when it comes to this type of commentary. What do you think about these Photoshopped characters?